Imagine the following scenario – you are about to close a huge business deal with a well-known businessman. You still haven’t met in person but they are coming to your company for a meeting. They arrive, you share a firm handshake and you show them to the conference room. Everything is set-up, because you want to make an excellent first impression. However, just a couple of minutes into the conversation, your new potential partner excuses themselves and they go to the washroom. Moreover, they insist they use the same washroom your workers use. After coming back to the conference room, they immediately agree to make a deal with you. All that based on the state of your washroom. This is a hypothetical situation, but could you imagine why this would happen? It’s simple – there is a lot that you can tell about a business owner based on the fact how they take care of their washroom. To be more precise, there are 12 things a person can tell just by taking a look at your workplace washroom. Not any people, when they think about their business venue go – ‘and yes! We need to install an awesome washroom!’ They are usually more concerned about offices, memos, logo and colours. If you take the time to think about the appearance and design of your washroom, it means that you go deep into your tasks and that you take care of details. Office washroom can be the place where all the illnesses start or the place where all the illnesses stop. It all depends on the fact how clean, equipped and well-made the washroom is. If you take the time to make your washroom sanitary, it means that you value your health. 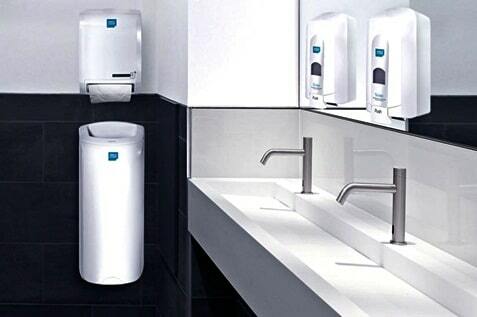 There are many choices you can make once you start getting the equipment and consumables for your workplace washroom. Looking into the environmentally friendly solutions instead of simply using the cheapest options means that you are ready to go green. You can do this by opting for hand drying options that use paper responsibly. 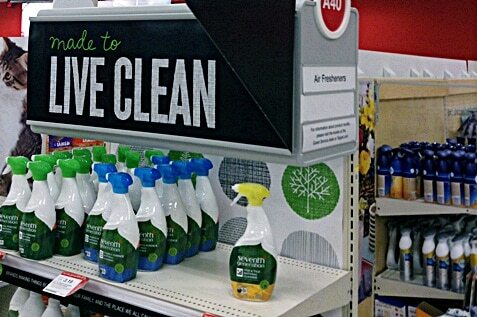 You can also use eco-friendly chemicals for cleaning, or make more effort for a greener workplace. When people enter your venue, they trust that you’ve took all precautions for their safety and security there. Nothing can be neglected in that regard and your washroom is the proof that you thought of everything. Hygienic washroom means you protect everybody’s health. 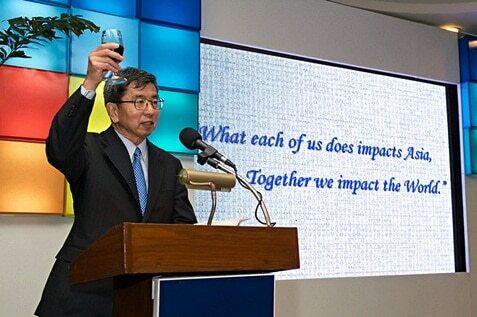 It is not just about the big logos, billboards and smiling representatives. It is also about how you feel inside a venue. Washroom is not an exception. Carefully chosen faucets and air fresheners make all the difference. Discrete bins for feminine hygiene and effective odour control show that you are a person who knows how to take care of every single detail and doesn’t leave anything to chance. When they are treated well, people come back. Returning customers are happening only to the businesses that make them feel welcome and appreciate them. One of the ways to keep your customers coming back is to make your venue as comfortable as possible. Yes – washroom is very important part of that comfort. Think odour control and do your best with it. Just like you know how to take care of your customers, you need to know how to take care of your employees. After all, they are the reason you are still in business. When you splurge for an awesome washroom from which people don’t want to escape the moment they step in – you are taking good care of them. Keeping it nice, sanitary, well maintained and fresh means a lot to those that stay in the office for eight and more hours and are forced to use the washroom many times throughout the day. Sanitary washrooms keep them healthy and prevent contagious diseases. 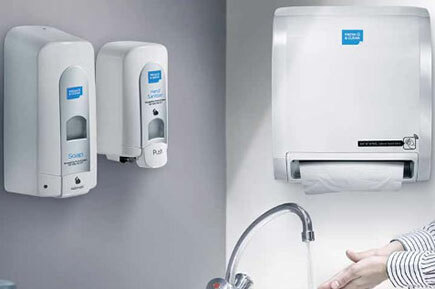 If you go for the air sanitisers, jet hand dryers and sensor air fresheners, it is obvious that you did your research and found out what’s trendy in the world of bathroom design. Your readiness to instal those things in your workplace washroom makes you a true trend-setter. Some wise people said that you only have the money that you’ve spent. While you need to save for the rainy days, money’s just paper, after all. So, there are more important things than money. The way you run your business, the way your employees and clients feel and the overall policy of your company are very important, as well. Business people know a lot about – well, business! This means that they already know every trick in the book that you will use on them to make a good impression. It’s not that it’s a bad thing, but it may be somewhat harder to do when people know that you are doing it. 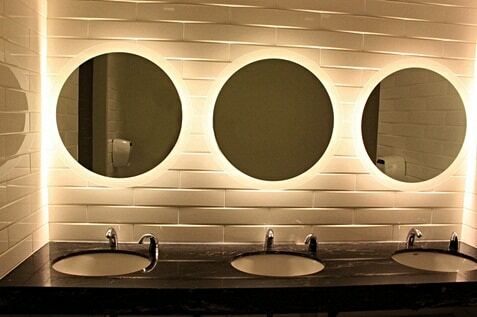 However, washroom is where everybody takes a break and goes out of that ‘face-on’ mode. Therefore, you have a couple of minutes to impress your partners even there. A comfortable and flawlessly sanitary washroom will do its trick. People who value quality make sure that it is present in every aspect of their lives. They simply cannot do it any other way. So, if you see that somebody has a very expensive and fancy attire, but their bag is pretty common, you already know that they are dressed for the show and that is not entirely who they are. The same is with the washroom. If everything else in the company is flawless, and the washroom is a mess – you know it is all just for the show. Therefore, if you have a perfect washroom, it means it’s just who you are – a sucker for quality. To be honest, not all bathroom breaks people take are because they really need to go. Some of them are simply time taken to collect one’s thoughts, or thing alone for a moment. These breaks are important and essential even for some of your coworkers. By ensuring that your workplace washroom is a pleasant place, you show that you absolutely understand how beneficial a break is. There are 12 and many more reasons for a business owner to be enticed to invest in a perfectly equipped and amazingly sanitary washroom. There are two reasons why a lot of people don’t do it: maintenance and money. 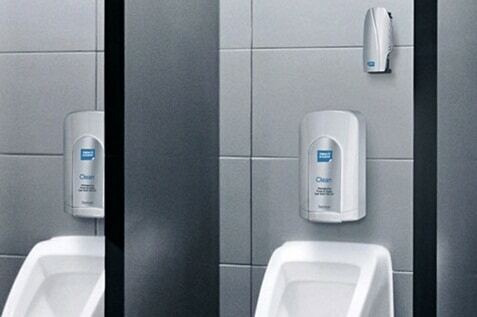 With Alsco, even those two reasons against the best workplace washroom are solved! You don’t need capital investments – RENT everything from us! You don’t need to worry about maintenance – we install our equipment, bring our consumables and do your refills on our own. All that for a monthly price. What that monthly price may be? 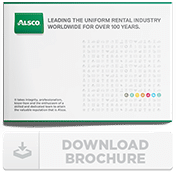 Contact Alsco representatives and they will work out the best offer we can give you. Call now!